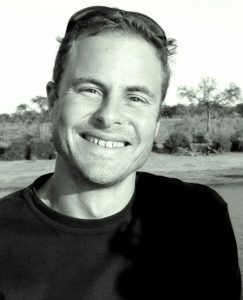 Andrew Salomon has received the PEN Literary Award for African Fiction and the Short.Sharp.Stories Award. His debut novel, now titled Tokoloshe Song was shortlisted for the Terry Pratchett First Novel Award and his short fiction has been shortlisted for the Commonwealth Short Story Prize. He is the author of the Young Adult thrillers The Chrysalis and Wonderbear (available at the end of July) and his latest novel is the dark fantasy thriller The Equilibrist. He completed an MA at the Institute for Archaeology at University College London and some of his most memorable experiences have been at rock painting and engraving sites in rock shelters and subterranean caves across the world. These often find their way into his fiction. Andrew lives in Cape Town with his wife, two young sons and a pair of rescue dogs of baffling provenance.